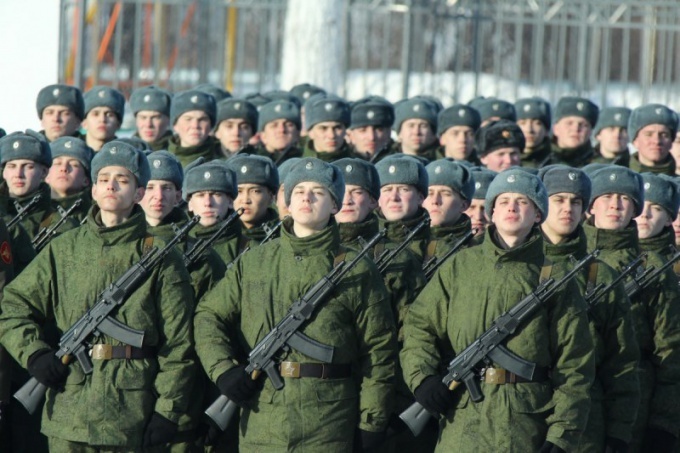 Category date - a particular concept of the current military legislation of the Russian Federation, which regulates the possibility of sending a specific recruit in a particular kind of troops. The order of conscription of citizens for military service in the Russian Federation are regulated by a special legal act - the Federal law No. 53-FZ of 28 March 1998 "On military duty and military service". Thus, article 5.1 of this law, defining the procedure of medical examination in the process direction to military service, establishes that the result of this procedure should be the assignment citizen of a certain category date. Category shelf life is a parameter that determines the presence of the individual citizen certain limits in the course of military service. In total, the law distinguishes five main categories of validity for the designation of which used the first five letters of the Russian alphabet - A, B, C, d and E. In this category, G and D represent the marking situations, when a young man for health reasons permanently or temporarily can not be called up for military service in peacetime. Thus, the call shall be made only to holders of categories A and B. Category A and B subject to call to military service, in turn, are divided into several subcategories, each of which more accurately reflects the health status of the young person and the degree of its validity to participate in military service. Thus, the most "universal" is a category including its subcategories A1 and A2, whose representatives can participate in all military activities with virtually no restrictions. The official wording of the health status of the recruit corresponding to category B, which contains the law States that young people belonging to this category of "fit for military service with minor restrictions". While in category B there are four sub-categories belonging to each of them determines a list of the types of troops that can be sent to recruit. So, category B3 implies that such a conscript can send the service in the guards ' parts, anti-aircraft missile parts or other parts of internal troops of the interior Ministry. In addition, the young person may be appointed to serve in missile troops, but the functions that it can perform, certain limits: it can serve as a driver or member of the crew of a fighting vehicle of infantry (BMP), launchers or armored personnel carrier. Finally, another option of service for a conscript - chemical parts where it can serve as a specialist. responsible for refueling and storage of fuel.